That spooky time of year is upon us once again. No, not Halloween – flu season. Make alcohol-based hand sanitizers and disinfectant wipes available for employee use. 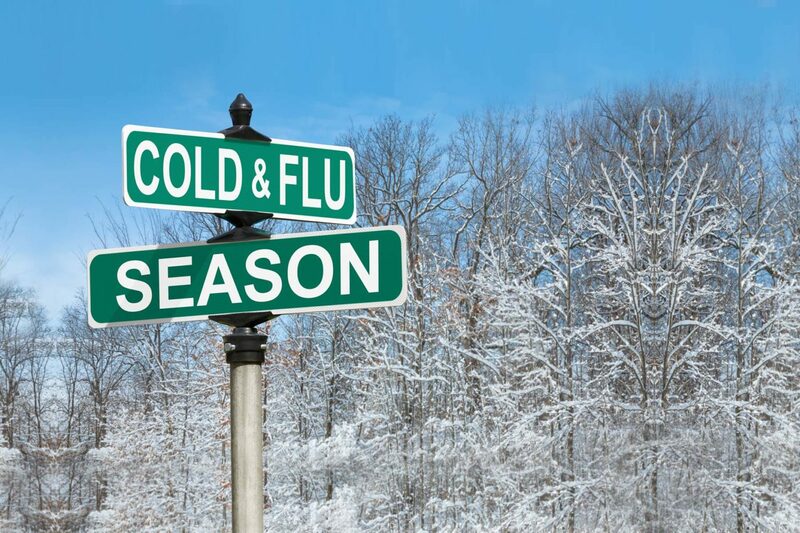 Encourage employees to stay home when they are sick without fear of being penalized. Ensure managers set a good example by staying home when they are sick. keep unnecessary visitors, family members, and other members of the general public from visiting the workplace. Follow additional recommendations from OSHA based on workplace risk level. For example, employees who have frequent or close contact with others are typically at medium risk for workplace exposure to a pandemic. Encourage employee participation in a flu vaccination clinic by: providing the vaccine without charge (or with a nominal fee); scheduling the clinic when it is convenient for employees to attend and asking employees to sign up for their preferred time; providing a convenient location for the vaccinations; and promoting the clinic on the employer’s internal website or through posters. Protect employees’ privacy by: keeping the names of employees who participate private; and making sure the location of the clinic offers a degree of privacy to employees receiving vaccinations; keep medical information received from or about an employee in a confidential medical file separate from the employee’s personnel file. Create a task force to plan the employer’s response if a pandemic outbreak occurs. The team should include representatives from: management; operations; facilities; human resources; the information technology department; and the legal department. Consider whether the employer has: a networked authority structure; distributed leadership; a dispersed workforce; cross-trained employees; and flexible workplace rules (for example, leave policies). Assess the employer’s vulnerability in the event of a pandemic. Employees in certain industries are at greater risk than the general public (for example, transportation workers and employees in healthcare). Consult OSHA recommendations for the employer’s workplace risk level. Identify essential operations and business-essential positions to: understand which lines of production or service can be shut down without jeopardizing business; and plan for continuity for the operations that must continue in the event of a pandemic. Develop a plan for replacement employees in the event of a pandemic by: cross-training employees so they can fill in for those who may be home sick; considering alliances with temporary employment firms; and preparing to work with a reduced workforce. Consider creating a telecommuting option in the event of a pandemic outbreak by: evaluating whether the business can function properly if a large number of employees choose to telecommute; and testing the information technology system by asking employees to log on and attempt to work on the remote system. Organize a team to: communicate information to employees in the event of a pandemic; and incorporate information from federal, state and local health departments into the message to employees about a pandemic. After reviewing the latest guidance for a pandemic implement guidelines for: sending home employees who become ill with pandemic influenza-like symptoms; and when employees who become ill can return to work (for example, no sooner than 24 hours after their fever has resolved without the use of fever-reducing medicine). Review policies on leave and sick time to: confirm sick time without pay is allowed if an ill employee has exhausted any accrued sick leave; and consider addressing time off (paid or unpaid) for employees who may need to care for children who are sick with seasonal flu or as a result of a pandemic. Ensure compliance with the Occupational Safety and Health Act (OSH Act) recordkeeping requirements by setting out the procedures for employees to report workplace illness. Regularly check for updated information from the federal Centers for Disease Control and Prevention (CDC), and state and local government agencies. For federal government agencies’ resources, see www.flu.gov. Understand the enhanced safety measures recommended by OSHA depending on the workplace risk level. Take appropriate safety measures in the workplace based on the most current pandemic information.